There’s only one feeling worse than a looming deadline, and that’s forgetting about it entirely. The repercussions of missing an expiration date can be as innocent as that unsuspecting sip of sour milk, to as dangerous as trying to manage tens of thousands of vaccinations. Schools in Maryland are taking their first attempt at reigning in this problem. 3,800 unvaccinated children may have to leave Baltimore County School District until their vaccinations are verified by the school. When that deadline hits, the issue isn’t exactly resolved, at least not for the students who will get to stay in school. Their “deadline” simply gets pushed back to when their vaccination expires. These types of deadlines must continue to be monitored attentively, which brings us to the real issue: the hassle of managing the expiration and mandatory renewals within a school district. To make an example of what is transpiring in Baltimore, let’s delve into their situation. Schools all over Maryland are barring children without proof of vaccination from entering public school districts, which means monitoring deadlines for both parents and school staff. In order to make sure these children don’t become oversights to school administration, vigilant tracking of medical records and vaccination expiration dates is not only necessary but crucial. Vaccinations are just one example of important deadlines of which school districts must be wary, which is why new techniques of monitoring expiration dates should be explained and available to school districts across the country. It’s more complicated than it sounds. The tricky part about vaccination expirations is that every student (and employee, for that matter) has a different date of expiration – and often, this means a different date of expiration for each individual vaccine as well. It is incredibly difficult, if not nearly impossible, for a school district’s team of nurses and secretaries to stay on top of five or more different expiration days for each member of the student body. This is almost exactly the case with employee and volunteer clearance expiration dates. In states like Pennsylvania, where adults with access to students need four separate clearances (Acts 24, 34, 136, and 151) and a current background check, school administration runs into the same cyclical dilemma of notifying personnel of the demand for updated documentation, resetting expiration dates for those who provide said documentation, or executing proper expulsion from campus. There are a few key steps that a school district needs to take in order to keep kids safe from disease exposure and unauthorized adults: accurate tracking of all clearance and vaccination dates, significant forewarning to parents, volunteers or employees of their impending deadlines, timely collection of updated student, volunteer and employee records, and attentive removal of certain students or personnel on their expiration dates, should the parent or staff member not provide the necessary documentation. That’s one full datebook for the school nurses and administrators. Super complicated, right? Let’s put it in perspective. Let’s create a more tangible example of this problem: School X, a part of School District Y, has 1,000 students. Each student has a medical record showing, or not showing, proof of 5 separate vaccinations. Each student has a different expiration date for each vaccination. School X’s 2 nurses and 4 secretaries use a calendar and a spreadsheet to keep track of the students’ expiries. 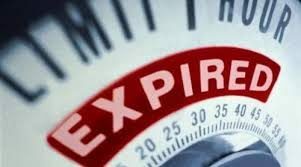 There are 5,000 different expiration dates, with three dates preceding the ultimate expiry on which they must send a request for an updated medical record from the student guardians. That’s a total of 15,000 dates, and our imaginary school is on the small side. It gets even more complicated when you realize that parents who respond after the first or second date need the subsequent notice dates removed from the calendar. It goes without saying, but can easily be forgotten – these expiration dates for security clearance and vaccination records never truly expire, with the exception of permanent expulsion, graduation, or death – they only get pushed back and require more rounds of record requests. The simple way to stay on top of expiries is to create calendar notifications within a computer system as soon as official records are received by the school. This is a tedious, drawn-out task, which means human error abound. However, the major problem with a simple digital calendar or spreadsheet solution is the lack of forewarning for these upcoming dates. The only date these simple applications really help to track is the date of ultimate action – the day that student or employee must be removed until an updated record is received. If a school district really wants to stick with the simple solutions, then dates to notify parents and employees (often a first, second, and third warning) must be marked on the calendar or spreadsheet as well. Instead of struggling to track the mountain of expiration dates constantly on the horizon, more complex solutions to record-tracking are available for this exact purpose. Paradoxically, the more complex your software solution is, the simpler the responsibilities of the humans operating it become. Record-tracking software can more efficiently store each and every expiration date, for students and for volunteer and employee clearance expirations. Furthermore, record requests for school personnel or parents can be automated to send on the appropriate day before the deadline. Notifications can also be automated to remind the school employee that the request must be sent out. Thus the task of deadline-monitoring becomes less of a mind-boggling pile of student and employee records and more of basic attentiveness to the record-tracking software, with the same vigilance of checking one’s e-mail inbox every day. In order to be more proactive about upcoming expiries, administrators, nurses, or other permitted employees can view the expiration dates of highest concern exclusively so that they can be dealt with in the clearest manner possible. An AI-powered digital assistant to take notes for you? It’s already happening in the workplace, but classroom note taking could prove harder to automate. A massive international analysis finds more screen time is associated with a lower sense of well-being among teenagers, but the effects are too small to require policy changes, according to a study in the journal Nature Human Behavior. More than two-thirds of districts are very confident in their networks' ability to support a digital device for every student, and nearly a quarter of districts now average two devices for each student, finds the latest annual report of the Consortium for School Networking.